This photo is exquisite! So innocent plus detailed. 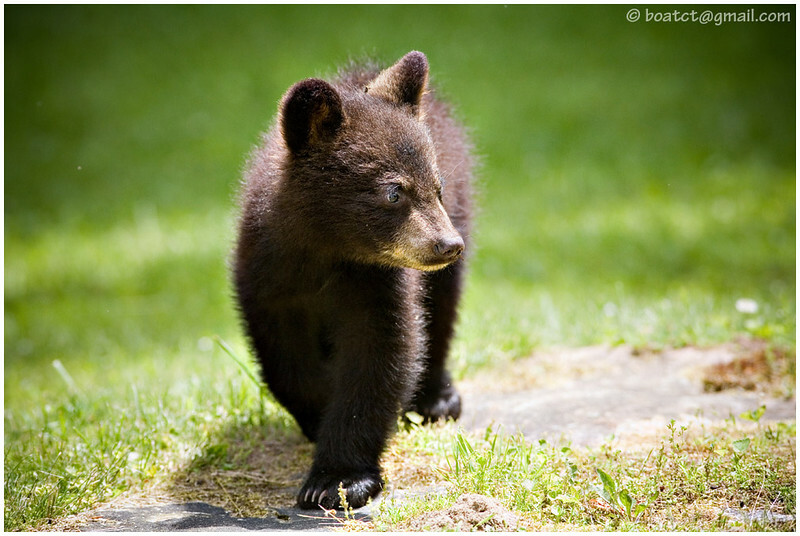 You can see he's just a fuzzy cub instead of the slick black fur of a mother bear you captured in other bear photos. How close did you get? What lens did you use? WOW. How far away were you when you took this shot? Love this shot! Looks so casual, strolling along. outstanding shot of a cub out standing in its field. Great shot! I love the clarity! Great photograph. I never see wild animals where I live and it's fun to watch your site. The cubs pictures are perfect!